MLS#: 3332262 - Courtesy of Re/Max 100 Inc.
Estate Sale. 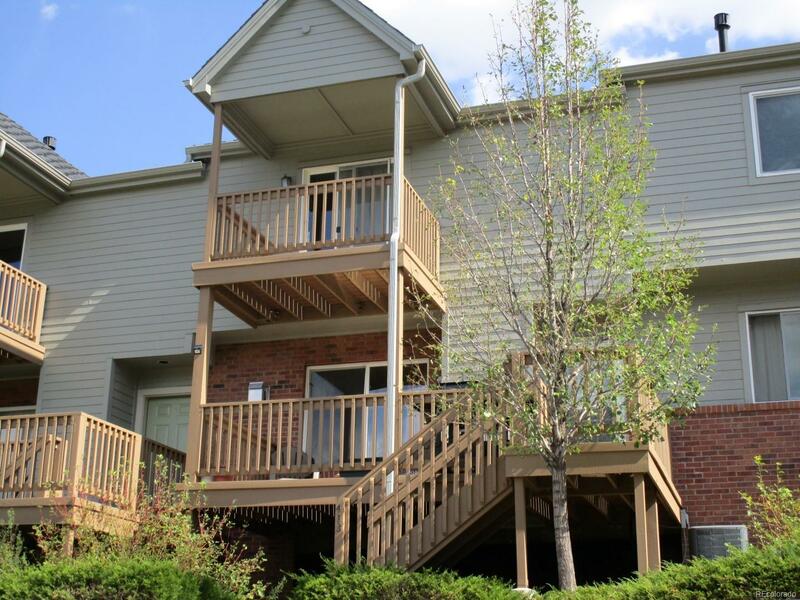 Very nice 2-bedroom, 2 bath townhome with a 2 car attached garage. Shiny wood flooring in kitchen and dining area. Comfy living room with warm gas fireplace. All appliances stay including the washer & dryer. Vaulted ceilings in bedrooms, both with walk-in closets. Main floor deck for BBQ and bedroom balcony for morning coffee. Close to: Dog Park, Open Space, Apex Hiking Trails -Downtown Golden -School of Mines â Red Rocks - Light Rail to the City or the Airport - 6th Ave/I-70 to Downtown Denver or the Mountains!